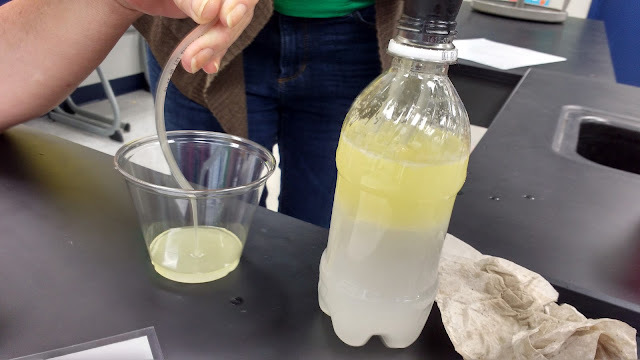 A few weeks ago, I gave up one of my Saturdays to attend a science teaching workshop. This is not something I ever thought I would do, but life has a way of surprising you that way. 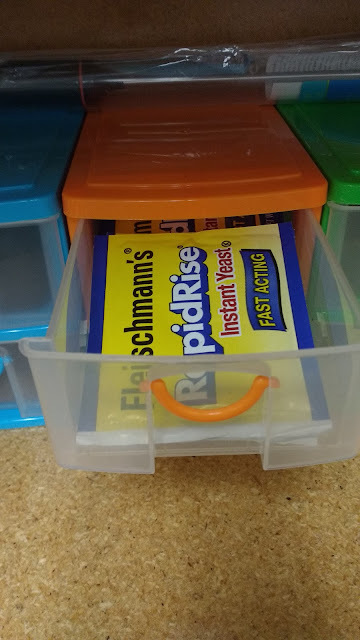 I'm a math teacher teaching a physical science class this year, and you could definitely say I am not in my element. 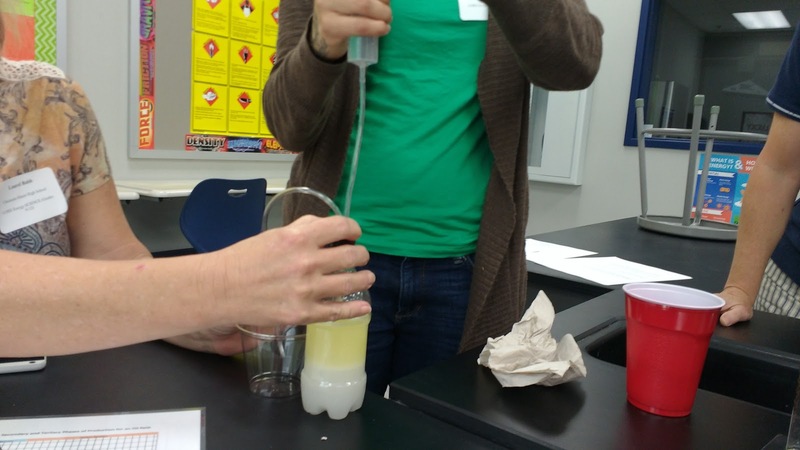 I want to feel more comfortable teaching science, so I decided a hands-on workshop was the way to go! There was also the nice little bonus of a $50 stipend and $1100 of free science supplies! The workshop was run by OERB. If you're a teacher in Oklahoma and you haven't been to an OERB workshop, you need to sign up! There were only five people (including me) attending the workshop, so we all got to interact with each other a lot. 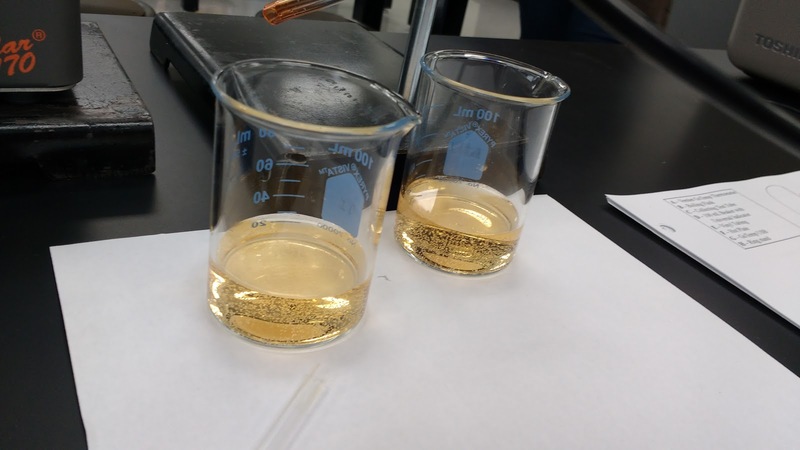 We did four different labs and received the supplies to do all of these labs with our students. Some of them are more suitable to physical science than others, but I can always use lab materials for unrelated labs, too! 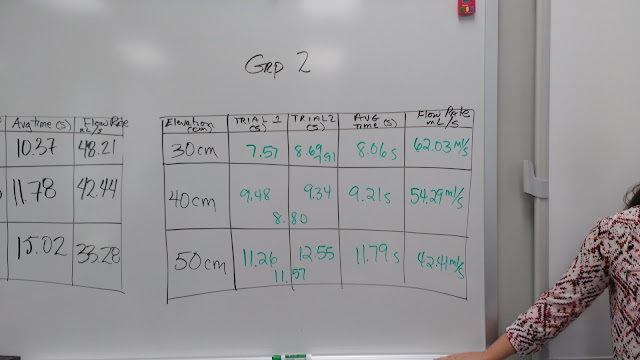 One big takeaway from attending my first science workshop: the way I act at a math workshop and a science workshop are very different. 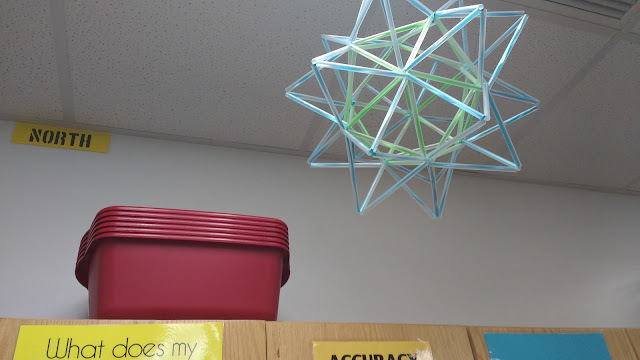 At a math workshop, I spend a lot of time taking notes about how I want to modify ideas for my own classroom. 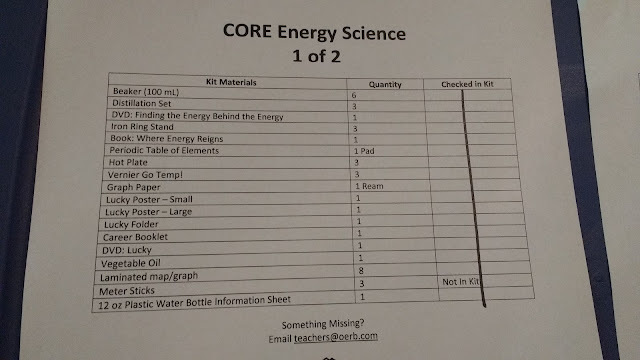 At this science workshop, I spent most of my time asking questions about how the presenter used these activities in her classroom. I can't even begin to think about modifying activities yet because I just don't have enough experience teaching science YET. 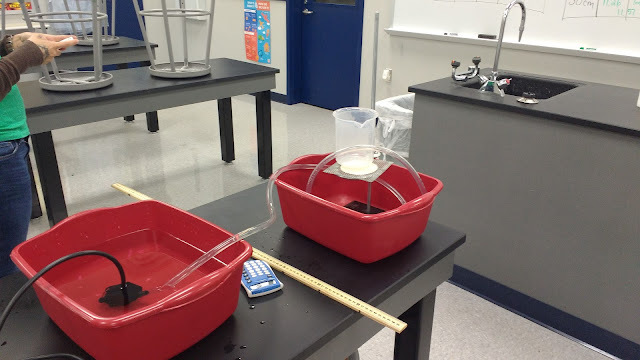 For our first lab, we designed an experiment to determine the impact of elevation on flow rate. We used plastic tubing and an aquarium pump to set up our scenario. We moved the beaker to different heights on the ring stand to change our elevation. 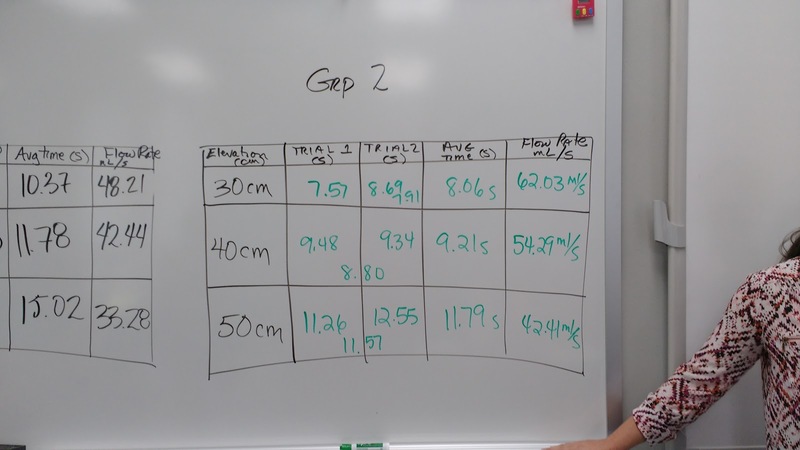 Each group calculated the flow rate for the different elevations. 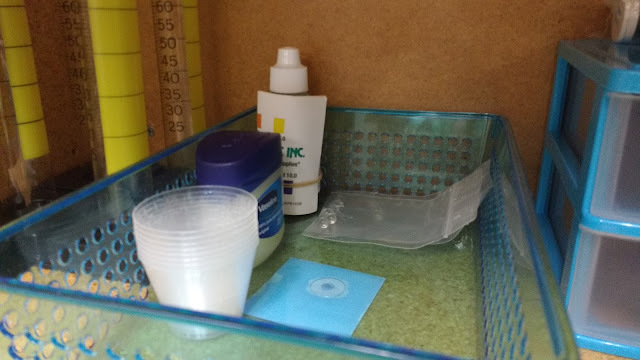 This is intended to be an inquiry lab where students are given the materials and asked to come up with their own hypothesis and experiment. 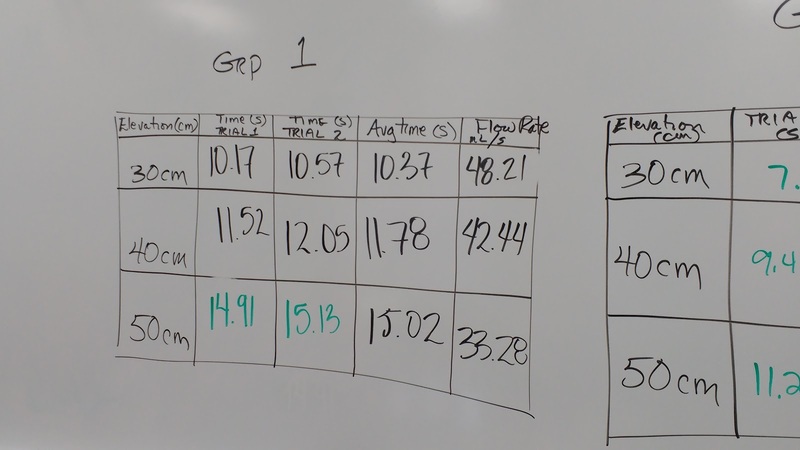 Our two groups got different results, but we both noticed the same trend. We were also given supplies to let students investigate the impact of diameter and pipe length on flow rate. For our next lab, we got to break out pieces to model hydrocarbons. 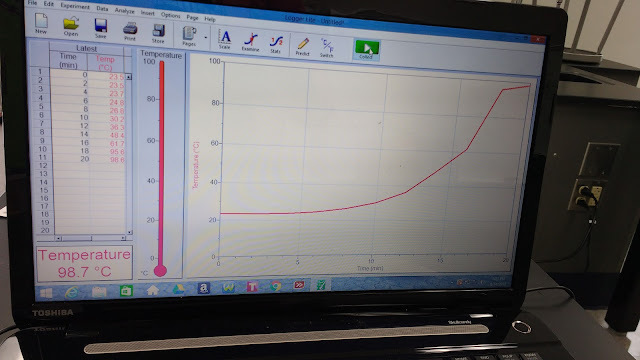 Here's the link to the hydrocarbon modeling kit we used from Mega Molecules. I was assigned to build a hydrocarbon with 5 carbons on it. 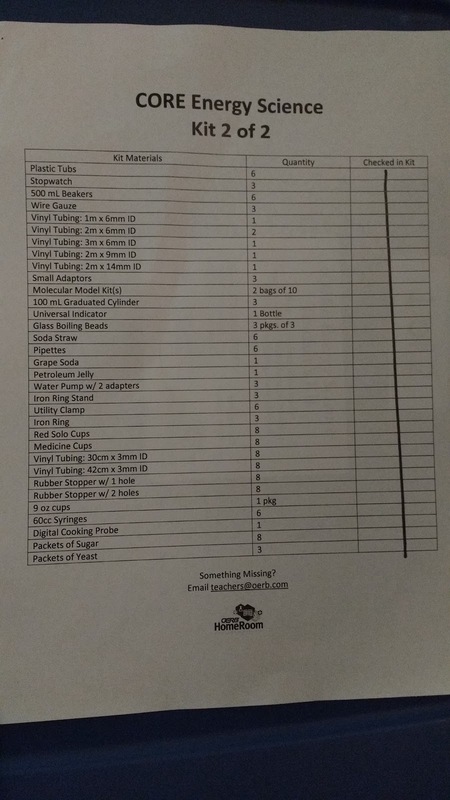 Looking at the chart we were given, I could read that my hydrocarbon contain 12 hydrogen atoms. At first, I wasn't sure how this was going to work out. Each carbon atom has four connectors. 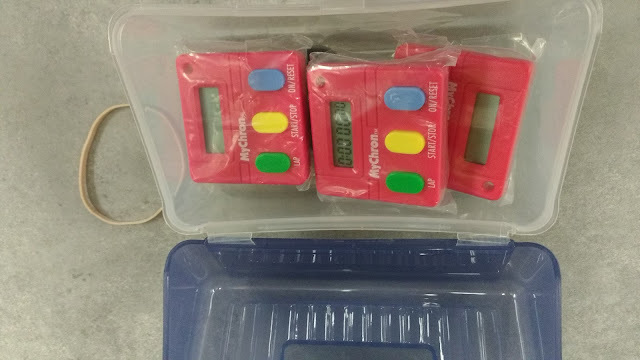 Five carbon atoms times four connectors equals twenty hydrogen carbons. Or so I thought BEFORE I started building. 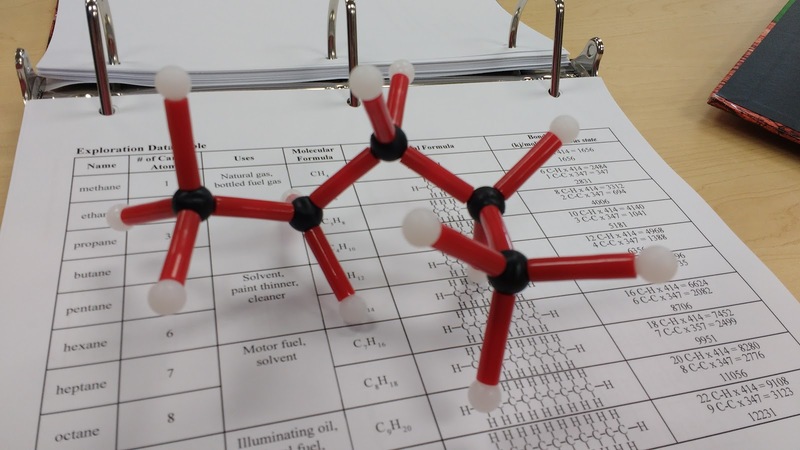 Once I started connecting them I realized that each carbon was cable of four bonds, but only three of those bonds could be used for hydrogen atoms because one of the bonds was needed to connect it to the other carbon atoms. It was amazing to see how the manipulative made this so much easier to see. 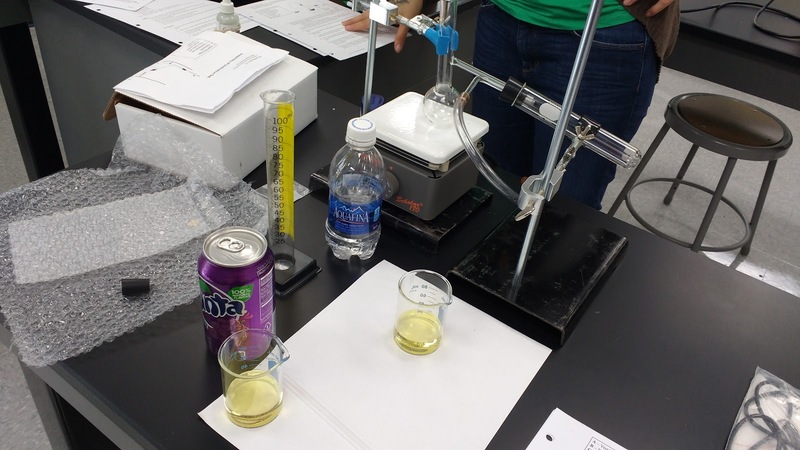 For our third lab, we worked to perform a distillation of grape flavored soda. I took a lot of these photos so I can remember what the set-up is supposed to look like if I ever do this lab with my students. I was quite intrigued by the fact that blowing air into a straw placed in water that contained universal indicator fluid will cause the color to change since carbon dioxide and water react to form carbonic acid. 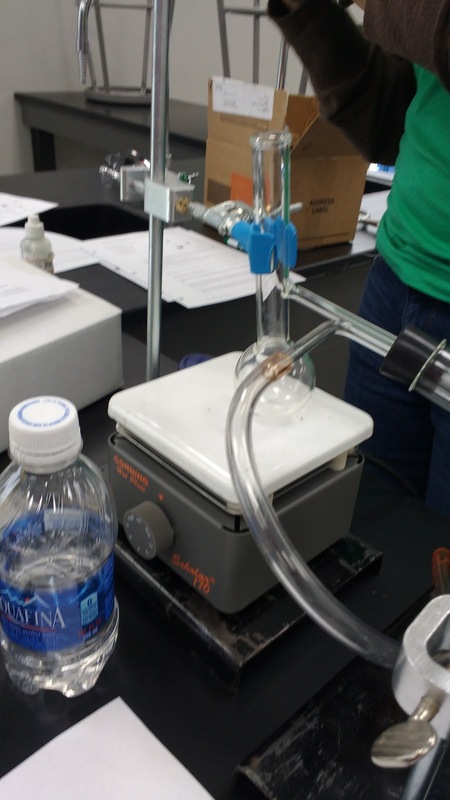 In my group, my job was to hold the plastic tubing in the beaker. We used a Vernier Go Temp probe to collect our temperature data. It was very cool to be able to see the temperature level off as the distillation proceeded. 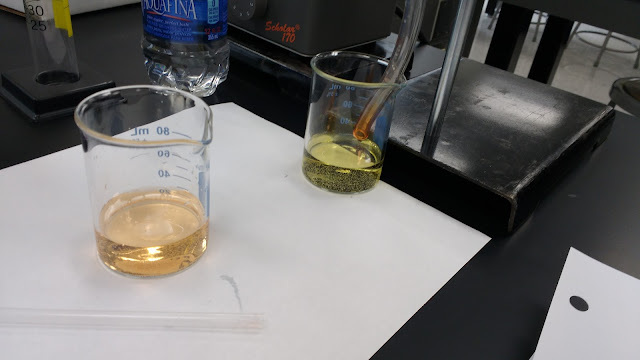 For our last lab, we mixed oil and water in a bottle and proceeded to try and separate them once again. 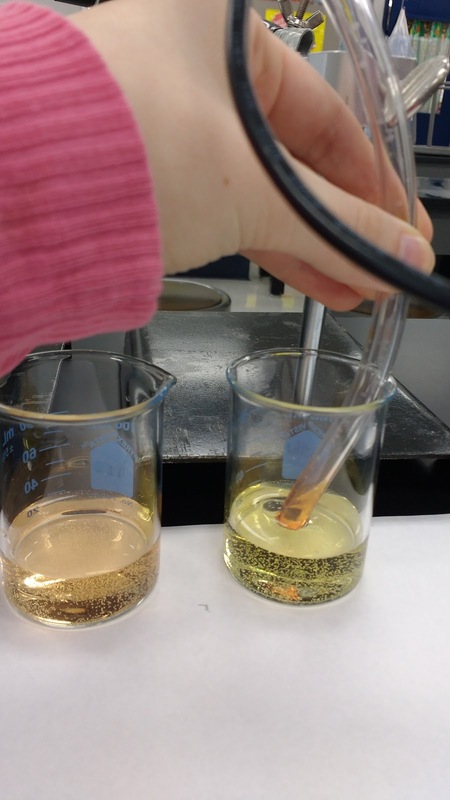 We first tried to separate the water and oil by injecting more water. 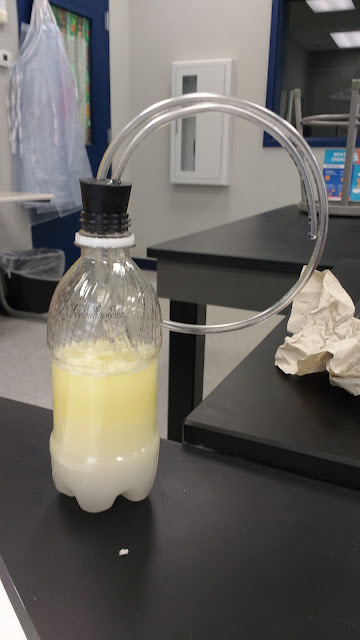 Then, we used yeast to do the same thing. 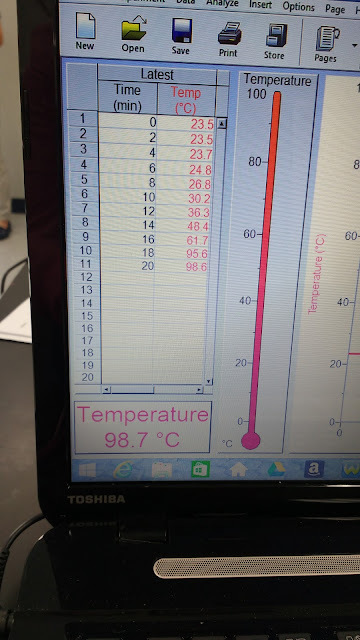 I left the workshop feeling more confident about teaching science, so it was definitely worth it! 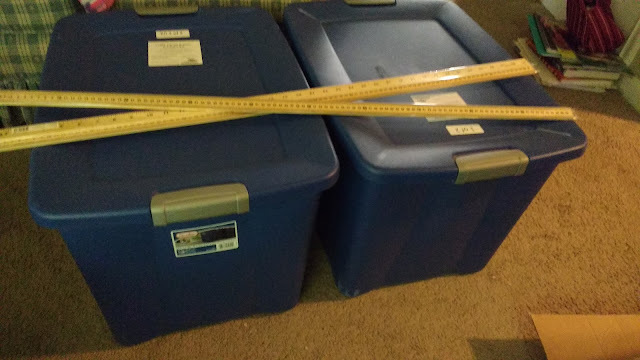 My husband was quite surprised when I came home with two GIANT tubs of supplies. 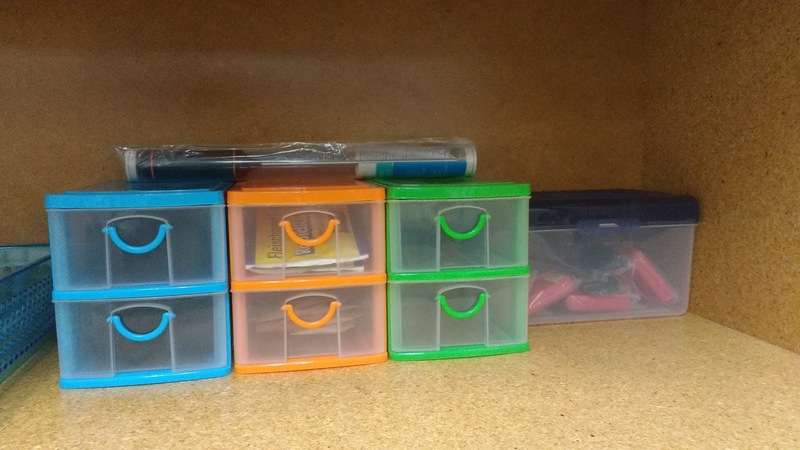 We were given enough supplies to do all of the labs with our students. 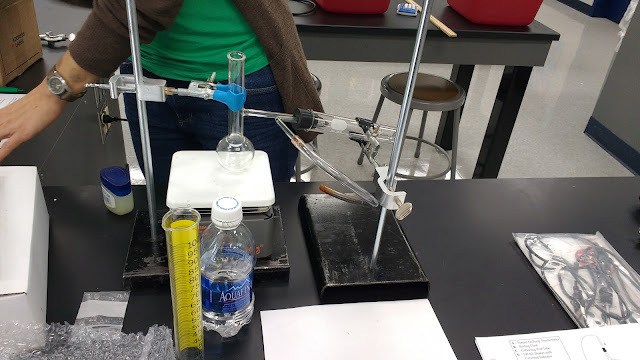 We got enough to do three set-ups of each lab. 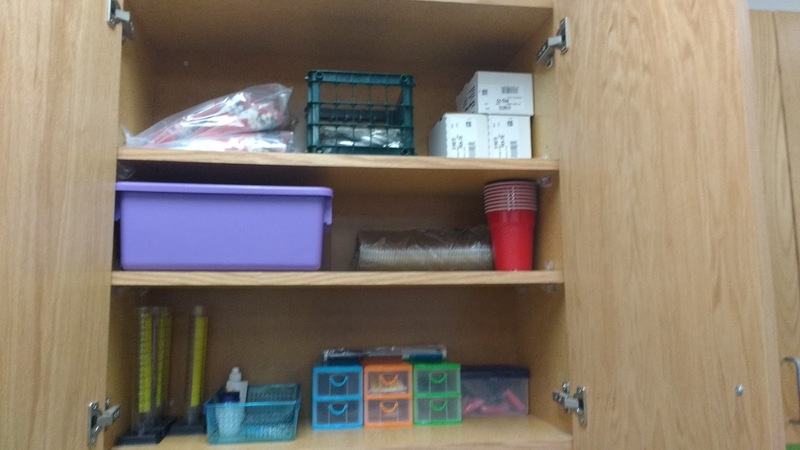 I've designated one of the cabinets in my classroom as my science cabinet. Last year, I bought these mini drawers at Dollar Tree. 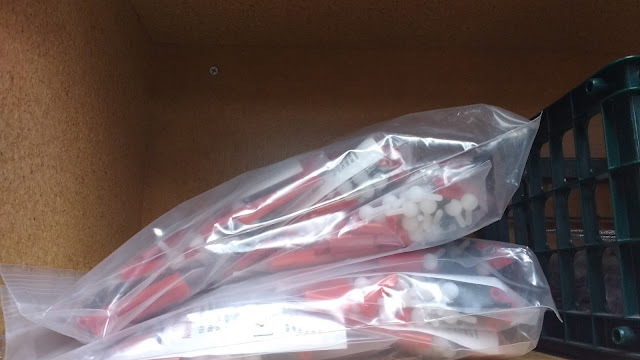 They are working perfectly to hold all the small items I received. 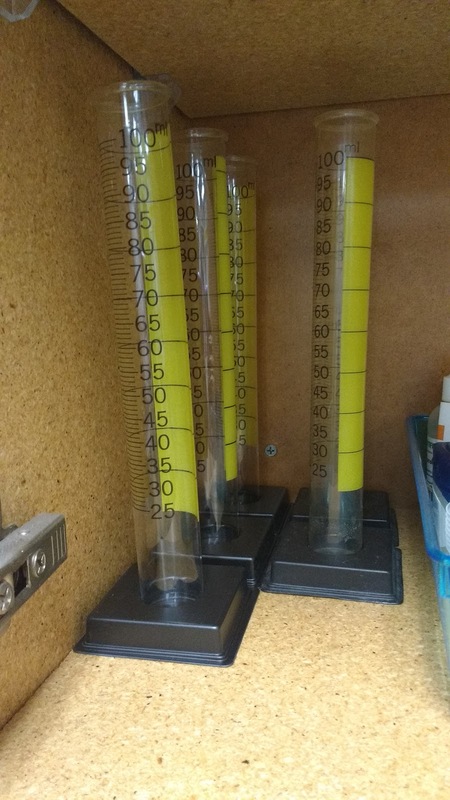 On top of the drawers is the digital thermometer I received. The blue set of mini drawers has one-hole and two-hole stoppers. 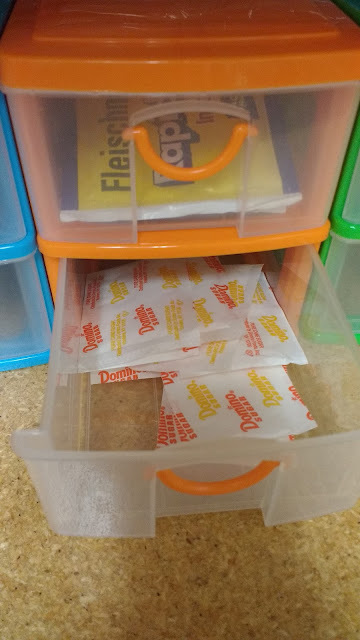 The orange mini-drawers have yeast and sugar in them. 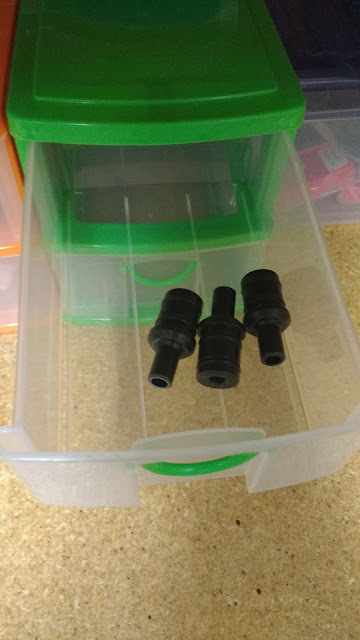 So far, the green mini-drawers only have adapters in them. 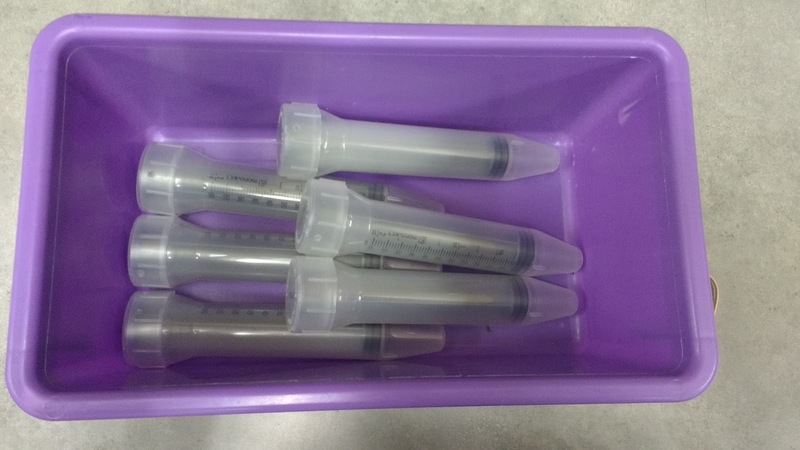 These syringes are for the oil/water separation lab. 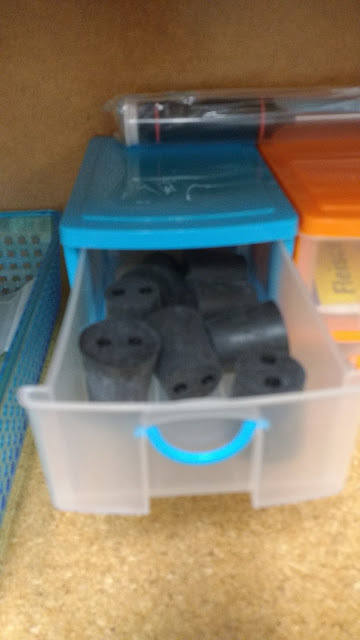 These plastic beakers have already come in handy in my classroom. 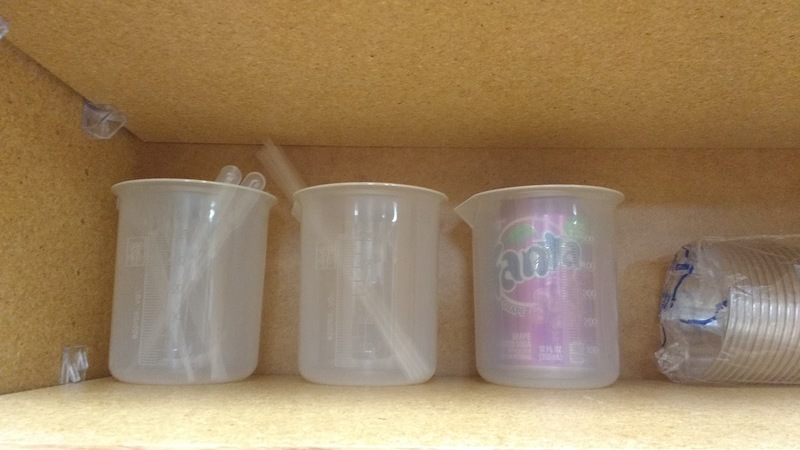 When they are in my cabinet, they are holding pipettes, straws, and Grape Fanta. 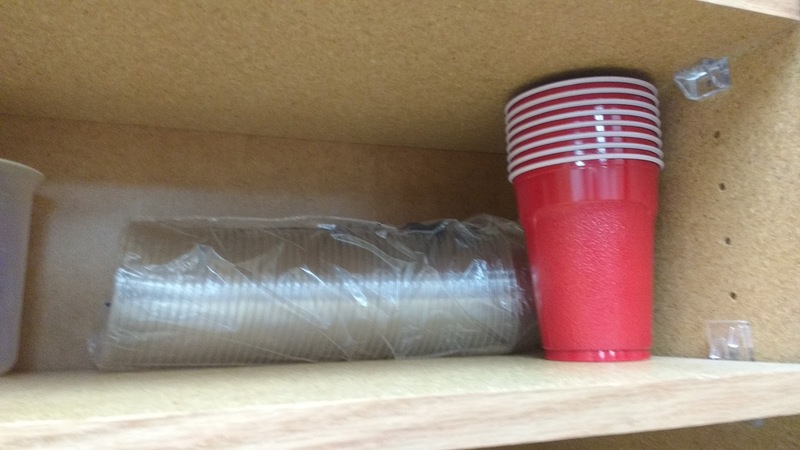 These cups will also come in handy for numerous activities throughout the year! 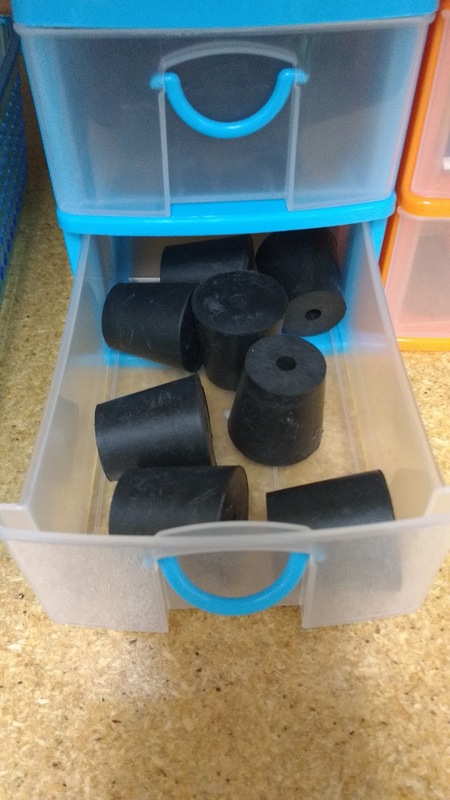 Here are the hydrocarbon modeling kits I showed earlier. Plastic tubs. I'm so thankful for these because they will allow me to do labs in my non-science lab! I also received a set of 100 mL glass beakers. 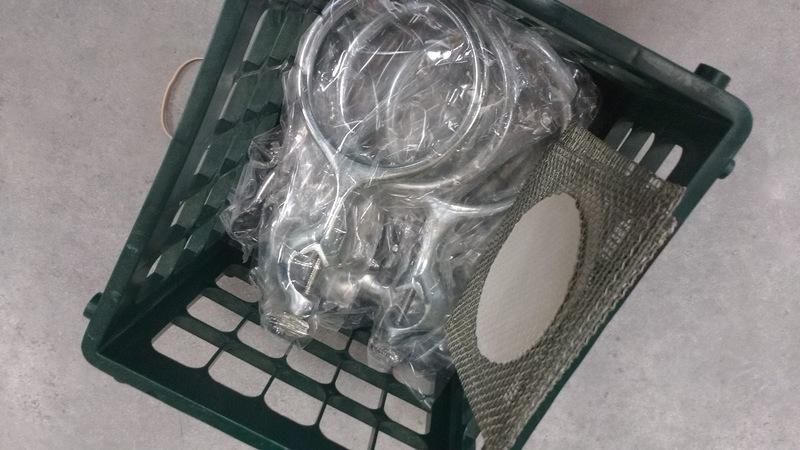 Not shown in these pictures are the distillation kits, graph paper, periodic tables, tubing, and hot plates I received. I'm starting to think I'm going to need TWO science cabinets! 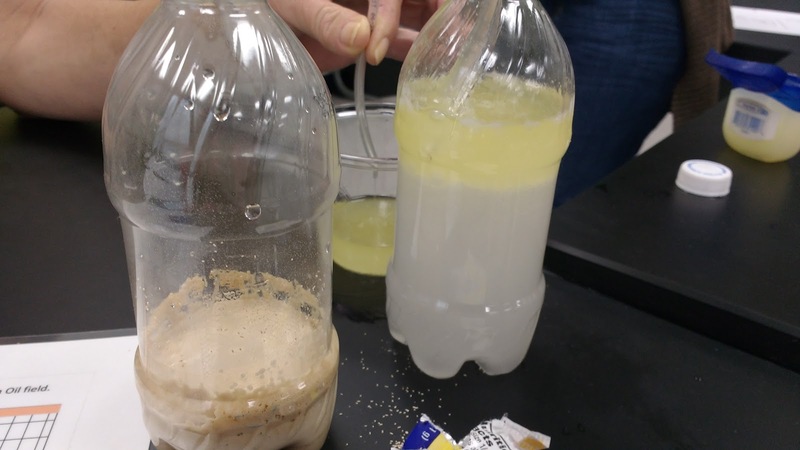 The more experience I gain with teaching science, the more I realize why science teachers have labs to store all of their stuff! Your MyChron timers will "die" when they're not used for awhile. Just stick a paper clip into the little hole in the back until you hear/feel a click. 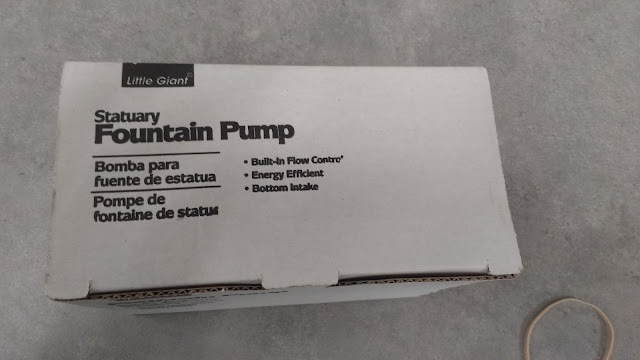 That usually does the trick. It's very cool that you got all that free science stuff. Good to know! Thanks for the helpful hint! 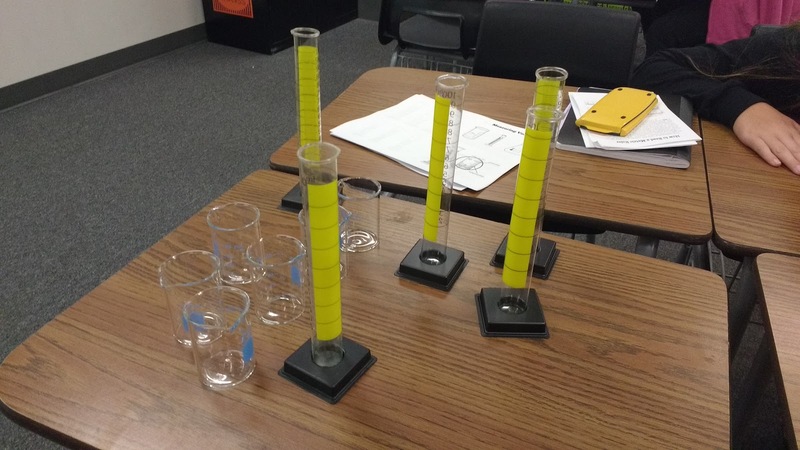 Are your physical science students high school or middle school or a combination? 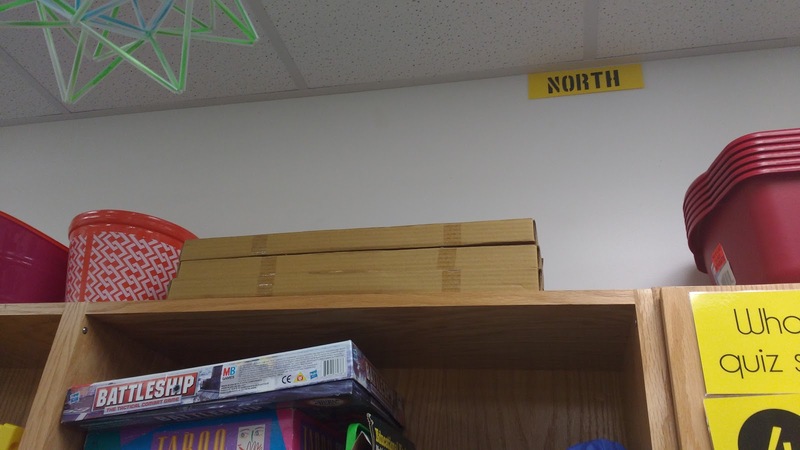 Do you know them from your math classes already, or they new to you? It's a high school physical science class. Almost all 9th graders. I have all of the 9th graders in either my math concepts class or my Algebra 1 class. So, they're all new to me this year.